Brazil knocks many countries out of the park in terms of its natural appeal. 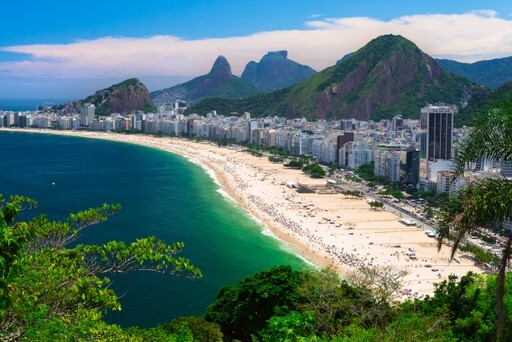 Endless beaches, remote valleys, iconic cities and emerald rainforests are just the tip of the iceberg in terms of Brazil’s major points of interest. Allow your awe to be struck by exuberant festas, eloquent cultural relics of the colonial era and by the Brazilians themselves. Your hosts are generally as open and fun loving as you’d expect. The natural diversity on display in Brazil is hard to beat too. There are a total of five ecosystems present, which translates to a huge variety of species scuttling, prowling, gliding and fluttering about in the many untouched corners of this vast nation. Mix up all the incredible things to do and places to visit in Brazil and the end product is a truly thrilling Brazilian holiday. There are many wonderful experiences to be had in this magical country. 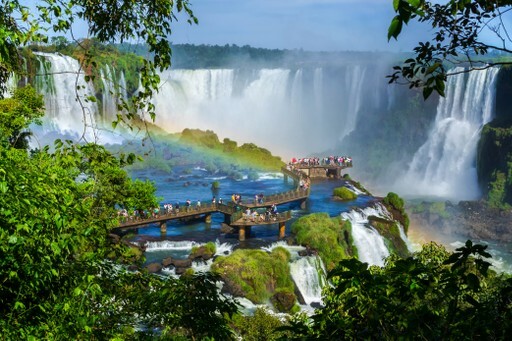 For further inspiration take a look at the trip ideas put together by our trusted local experts at the foot of this page, but in the meantime here are our top three things to do in Brazil. 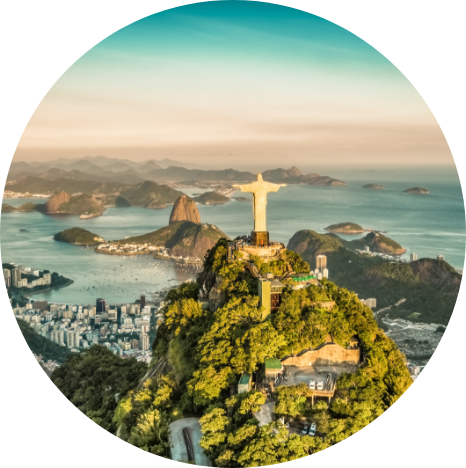 Visit Rio de Janeiro and check off all the bucket list activities to do there... Take photos of the view from the feet of Christ the Redeemer, scale the colourful Escadaria Selaron, watch the sun set from Sugarloaf Mountain, admire the colourful street art and drink coconut water from Copacabana beach. The eclectic food scene also makes it well worth a visit for foodies, and if you want to visit in time for the carnival, then make sure you plan well in advance to ensure there is plenty of accommodation available. 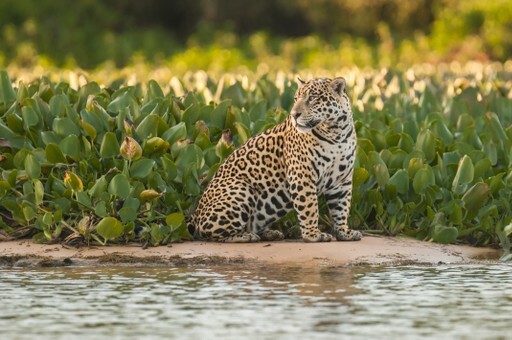 Wildlife lovers must head to the Pantanal as this is one of the best places to see Brazil's most exciting flora and fauna. Whilst the Amazon is so thick it's almost impenetrable, the winding waterways here are open enough to spot caiman-hunting jaguars, blue macaws, capybaras (the world's biggest rodent) and more fascinating fauna. Taking a guided tour will increase your changes of spotting some of South America's most wonderful wildlife. See the spectacular Iguaçu Falls from all sides. Our expert local partner can arrange for you to visit the parks on both the Brazilian and Argentine sides. The waterfalls may steal the show, but the surrounding forests and the wildlife they house are equally wonderful. Trekking through the forest to the falls is the best way to experience the flora and fauna - keep your eyes peeled for countless colourful butterflies and birds, and keep your ears open for the distinctive calls of howler monkeys. Brazil has enough climatic variety to sustain travel throughout the year. Expect humidity in the equatorial north, with heavy rain in the Amazon basin from December until May when river levels rise significantly. The famous Amazonian pink river dolphin can be spotted – with a bit of luck – all year round. Although the coastal regions northward are generally sunny, from Rio southward there are noticeable seasonal changes, with the coldest months from July until September. Temperatures can drop to 10°C (50°F) even at sea level in the far south.